Facebook’s plan to build a video content store like YouTube is known to almost everyone. It’s a great time for video creators to adopt Facebook as an important video distribution medium. But there are few things you need to understand about creating videos on Facebook for your business. Square videos – Facebook’s newsfeed structure on Web and Mobile favours Square videos over the typical 16:9 videos that you find on YouTube. Social media scheduler tslacool Buffer agrees with us on this. Short videos – Facebook’s inherently a social network that notifies you updates from friends and family whom you follow. Hence, don’t expect the viewer on Facebook to have a long attention span. 60 second videos is a sweet spot to have. Here’s a study done by Wistia favouring short videos for the internet. Muted videos – A lot of videos consumed on Facebook are in mute. That means it’s important to have text on these videos to augment the messaging that the video wants to convey. Learn why text on videos is soon becoming the next big marketing medium. Stock music – For the ones who watch the video with volume, one of the easiest way to give a professional video presentation is my adding a new background score that goes well with the content. a. Simple – when the action happens at the centre, you can crop the sides to focus on the action. b. Letterbox – square videos with padding with customised colors – great when you want to retain the whole of your widescreen video. Text, Text and More Text! Typito’s built to add add text on videos in the easiest manner and text on videos is the lifeline of Facebook videos. So plan your videos carefully to add all the important text and graphic elements – your logo, intro, social media handles, tips, instructions – they all make your video more valuable. Other than these features, don’t forget to leverage the music option on Typito that lets you add stock music fast and easy. You can also upload images and videos on your video’s timeline, edit them as per your liking before publishing on Facebook directly from the tool. 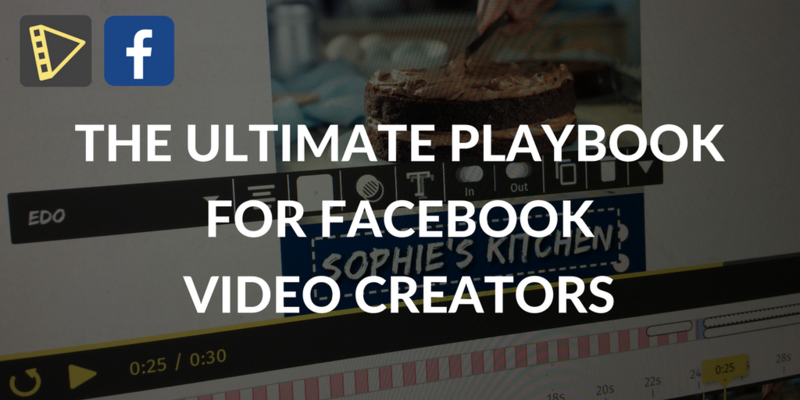 Hope this quick playbook for Facebook video creators turned out to be helpful. Please share your thoughts on other features that you think are relevant for creating videos on Facebook.